Looking for top canister filters but still unsure which one is for you? This is the perfect article to help you in your choice for the best canister filter. 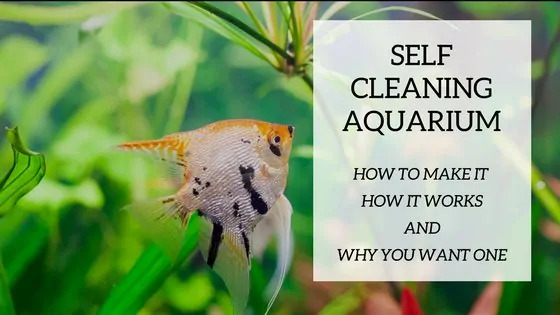 Regularly cleaning out your aquarium is essential for the homeostasis of your tank and the health of the fish living inside, but it isn’t the only thing that helps to keep the tank clean. 1. How do I clean a canister filter? 2. Are canister filters good for saltwater tanks? 3. How do I install a canister filter? 4. What size canister filter do I need for a 75-gallon tank? 5. Who makes the best canister filter? 6. Can you use a canister filter with a sump? 7. Canister filter for nano tank. Does it Work? 8. Can I use a canister filter for a planted tank? 9. Can I use a canister filter with a protein skimmer? 10. Canister filter vs hang on back. Which is best? An aquarium filter is a necessity for processing the waste products produced by fish and removing them from the water. If a filter was not installed, then the water would become toxic to the fish, potentially causing them to either become ill, or worse, die. Canister filters are such powerful filters, that they are recommended in any cases where an aquarium has a capacity of 40 gallons or more, as the volume of water required to be filtered is high. A canister filter is an aquarium filter that is stored outside of the fish tank. This makes it easy to discreetly hide them beneath the cabinet housing the aquarium, keeping a clean and attractive setup. As opposed to having water flow past the filter media, canisters force the water to pass through the media. However, this does make it more difficult to dismantle, clean and generally maintain the filter. As a general rule, there are a number of factors to consider when choosing a canister filter. For starters, filters have maximum capacity limitations, which dictate the capacity of the aquarium that they can support. 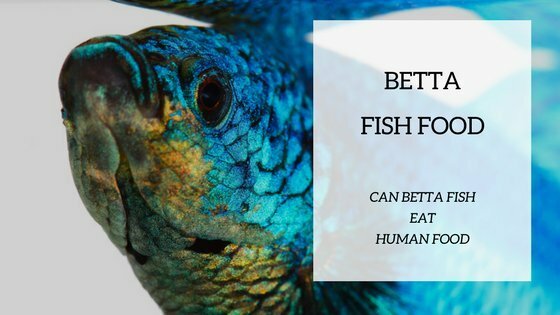 Using a filter that is not designed to handle the capacity of the tank means that it will not filter the water sufficiently, and could compromise the health of your fish. You should look for the GPH rating of the tank (gallons per hour), as this will determine whether it is appropriate. 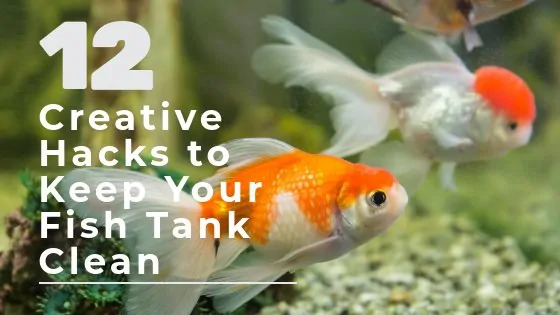 When thinking about the kind of tank filter you need, you should consider ‘Tank Turnover’. through the canister within an hour. In most cases, the minimum tank turnover can be considered to be around 4 times the capacity of the tank per hour. Thus, for a 50-gallon tank, a GPH of around 200 would be acceptable. There are so many aquarium canister filters on the market, and the price varies so widely, that it can be difficult to determine their differences and decide on which to purchase. To help guide that decision, we’ve put together a list of some of the top canister filters you can buy. This canister filter is not difficult to install and operate, with clear instructions and a simple design. The Aquatop CF Series Canister Filter has a unique, built-in ‘filter pad’, which polishes the tank water as it is filtered through, expunging any minute molecules of waste from the water. Despite this, it still runs very quietly. This filter comes with included filter media, as well as a strong pump that ensures a fast flow. In terms of drawbacks, this canister filter can create a lot of water spillage when carrying out maintenance, as the hoses have a tendency to come loose. It can be tricky to set up in the first place, too. However, the inclusion of a water polisher is something you don’t often see in competitor models, and what’s more, this filter operates very quietly, with a strong pump and media included in the package. The Fluval Canister Filter, FX6 Filter is easy to set up and once familiar, it is very easy to operate. A specially-designed filter pad polishes the filtered water, removing tiny molecules of waste and debris from the tank. This canister runs silently with a strong flow, and comes with all 4 stages of filter media included within the product. The Fluval Canister Filter, FX6 Filter isn’t the easiest filter to set up, with instructions that aren’t the clearest. This model can also suffer from loose hosing from time to time, if moved. However, the positives outweigh the negatives, with a built-in water polisher, silent operation and a strong pump flow. All required media is also packaged in with the filter. As far as design goes, the Hydor Professional Canister Filter is one of the most attractive models on the market. It operates silently once set up and self-primed, and is compatible with a whole range of accessories from both this and other brands, so it may work with an existing setup as a replacement filter. With the exception of a little excess water, it is even simple to clean and maintain. The Hydor canister is an external filter with a unique design. Compatible with an array of components and accessories, the filter runs quietly, and is easy to install and clean. Though it doesn’t come cheap and can produce some mess when changing tank water, the trade-off is that first-time setup and installation is straight-forward. The Aquaflow AEF-302 filter is suitable for tanks of up to 75-gallon capacity, with a flow rate of 264 GPH (gallons per hour). Operating with 18-watt power consumption, the filter doesn’t generate excess heat, and there are 3 media trays for whatever media is chosen. The filter comes packaged with all necessary components, including filter pads and connective hosing, whilst also having a built-in self-primer. The Aquaflow filter is quite small in stature and suitable for tanks up to 75 gallons in capacity, making it a better fit for smaller aquariums. Its size is also reflected in the number of media trays housed within the filter, standing at 3 as opposed to the minimum of 4 that most filters would have. If we had to name the biggest drawback of this filter, it would be the color scheme chosen by the manufacturer, with bright whites and blue making it difficult to install the filter discreetly but not an issue if hidden underneath the tank. Starting with the drawbacks, this model lacks a self-primer function, as well as having instructions that can be quite difficult to understand if you’ve not set one up before. However, the build quality is good and the materials used do not feel cheap. The interior compartments house a great deal of space for bio media, and the pump flow is strong. With a 15-watt power consumption, it doesn’t generate excess heat. Installation can be not straight forward for those who have not set up a filter before, particularly when it comes down to priming the system, manually. That said, once installed, there’s plenty of space for media and ongoing maintenance is not required often. There’s also unlikely to be any unwanted heat generated by the filter, owing to its low power consumption. The design is quite surgical in appearance, but this isn’t a big deal as it will likely be hidden away beneath the tank. It could, however, be improved with the inclusion of a self-priming function. The Fluval External Filter is designed for aquariums with a capacity up to 70 gallons. A special design promises near-silent operation, with a clog-proof intake strainer and up to 1.5 times the volume of similarly sized round canisters. The AquaStop system, allowing the cessation of water flow without the need to disconnect hoses, is a great way to prevent messy spillages and leaks, particularly whilst cleaning the tank. Like many smaller capacity filters, the Fluval contains sufficient room for 3 different types of media, and can only manage tanks of up to 70 gallons in capacity. However, despite the relatively small size, there is lots of internal space; its size also helps to maintain silent operation. The biggest drawback for this filter is that replacement parts can be pricey. This filter comes with a number of free media included, though it isn’t the best quality and will unlikely last too long. That aside, the build quality is good for a cheaper import product, and there’s lots of room for whatever media you choose to purchase yourself. With a flow rate of 370 GPH (gallons per hour), the filter is suitable for tanks up to 100 gallons, and the UV light runs at a cool 9-watts. The SunSun filter is a Chinese-built model that provides good value for money at the lower end of the budget range. Instructions are not easy to understand, but otherwise the product is of a good build quality, with large media trays and a UV light that sterilizes bacteria and viruses from the tank water. The Cobalt Aquatics EXT Canister has an innovative design that allows it to be arranged in any position relative to the aquarium tank; whether placed below, alongside or above the tank, the design allows the filter to pump water in either direction, suiting the setup chosen. A stronger pump would make this filter better. However, other functions make up for the weaker flow, such as the ability for the pump to function whilst the filter is disconnected. The build quality of the hose clamps could also be improved upon. As a final point, if space is limited in your aquarium setup, then this might be the ideal canister filter, with the ability to pump in any direction. The Pingkay 200 filter is a great value product, with the package containing a range of over 25 components. With 5-stage filtration and maximum flow rate of 525 GPH (gallons per hour), the filter also has a built-in, 9-watt UV sterilizer that can destroy all harmful bacteria and viruses. The job of a filter is to keep your aquarium water clean and free from harmful toxins that could damage the health of your fish. Thus, the inclusion of a built-in UV sterilizer is a great feature, something that only serves to increase the efficiency of the canister in cleansing diseases and viruses from the water before they can harm you fish. This range of filters is known for being extremely reliable, with components that last long periods of time, and with a reduced maintenance requirement when compared to other canister filters. Carefully calibrated flow rates provide optimized filtration through the four media types: mechanical, biological, chemical and adsorptive. The Classic series is reliable and well-optimized for pumping in tanks of up to 160 gallons. You’ll pay more for this canister than many others, and for quite a small package, but will likely save on long-term maintenance, replacement of parts or of the product overall. The lack of a primer is a downside, but self-priming is relatively easy and there are a range of instructional videos on the internet to help. A canister filter should be cleaned every three to six months. Depending on the amount of fish you have in the tank and the size of the fish will determine the exact maintenance needs. All filters and filter parts should be cleaned or partially cleaned once in a while. Canister filters work with different types of media and the biological media should not be completely cleared of the bacteria that is beneficial to your aquarium. Find more on biological media in this article. The parts that can get especially gunky are the tubes and these need to be cleared of debris and built up dirt. You will want to first turn off the power supply to the filter and empty the tubes of existing water. Once tubes are empty, the canister can be transported to a safe area for cleaning. Usually a sink is a good place to do this task as there may still be water coming out of the filter and you will need a running supply of water to clean the parts of the filter. Unscrew the tubes and let the remaining water out and then clean the tubes with either a special scrubber or your own home made method. Next you need to disassemble your unit starting with the motor. Remove all parts to be cleaned except the biological media trays. You will want to keep these submerged in water as as long as possible. When you remove the trays, you can put them in aquarium water while you are cleaning the other parts of the filter or you can leave them in open air if you expect to work quickly. You can use a toothbrush or a store bought scrubber to clean the parts of the filter to remove any grime caught inside. The part that is the most fragile and will need extra care is the impeller. Use extra care when removing and scrubbing this part. After all parts are clean reassemble your canister filter and place the biological media trays back in place, plug your canister filter and restart the process. Keeping your canister filter clean will help the filter function properly and efficiently. Canister filters are a good choice for saltwater tanks. They are sometimes used as stand alone filters or in conjunction with other filtration methods. Seeing that the canister filter can hold biological, chemical, and/or mechanical media it makes it a very versatile choice for saltwater aquariums. The experimental process may take a while until you can figure out the exact needs of your saltwater aquarium. If you have a lot of debris in your tank, it is recommended to add a mechanical filtration method as an add on to the main canister filter. Some aquarists argue that a canister filter is not the best choice for saltwater tanks. They do make a valid point, but they also agree that a canister filter is an option to consider when setting up your saltwater aquarium. This is by far the most annoying thing about your new canister filter, the installation. Once up and running, you will enjoy the efficacy and power of the canister filter in your tank, but setting it up can be a little tedious. Always follow the manufacturers instructions when installing your canister filter. Make sure that you know if the filter media is included in the packaging and If it isn’t then you will need to purchase the media that you wish to include in the filter trays. Canister filters work best when installed under the aquarium. Anywhere between 8 inches and 4 feet below the water level is a good spot for your canister filter. Place it somewhere where the tubes can easily access the water without twisting or looping. After following the assembly instructions, you will have to fill your trays with your selection of media. Canister filters come with three of four trays but the best way to stack the media is with the mechanical media first, then the biological filter media, and lastly the chemical media. Most manufacturers make it easy for aquarists to buy the right size filter by having a suggested appropriate tank size on the box. They will usually tell the consumer what size tank their filter is good for. The main rule of thumb in regards to filter size is usually flow rate. 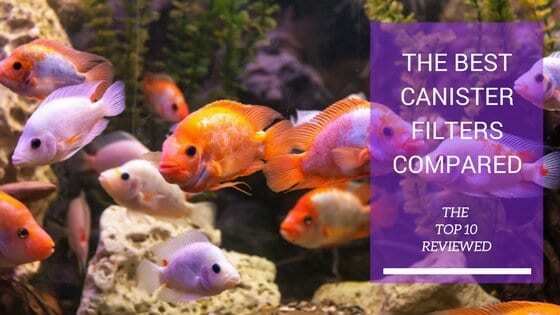 For a filter to be efficient and work properly at filtering debris and waste from aquarium water, it must pass through the filter at least four times an hour. Check the gph (gallon per hour) of the filter and make sure that it will cover your needs. For your 75-gallon tank you will want a flow rate of 300 gph. Some brands are reputable in the aquarist world for having consistently good and reliable products. Some also specialize in a specific aquarium accessory and produce items that consumers trust over and over again. When shopping for your canister filter check for positive reviews on reputable websites and also research customer service and guarantees. Eheim and Fluval produce canister filters that are often in top rated reviews and are trusted brands in the industry however all the brands we included in our review are considered quality and reliable brands. Yes, a canister filter may be used with a sump. There are some debates on this procedure, but most would agree that is not a harmful thing to do. Yes, you can use a canister filter with a small aquarium. Make sure to purchase the appropriate flow rate for the gallons of your tank. When we talk nano, we usually are referring to aquariums that are below 5 gallons. These aquariums often times come in all-in-one kits that include a filtration system. These are more often than not hang on backs or internal filters. On the most part, this is not a canister filter that is included in these kits. Should you choose to change your filter over time, you may go the canister filter route. Canister filters are often the go-to filtration system for planted tanks. Experts and hobbyists alike tend to purchase these filters for their planted tanks because they provide a versatile filtration that can be adapted to different situations. Plants are natural filters and help keep your water clean. Depending on the amount of plants that you have in your tank, mechanical filtration media may be enough to keep your water clean. Another point that is considered when choosing a filtration system for a planted tank is water surface disturbance. The more elevated water disturbance tends removes C02 levels in the water. Plants need extra C02 to thrive and be healthy in the aquarium. Canister filters most often use spray bars that provide no surface disturbance. If you have a saltwater aquarium, you may already have a protein skimmer or you are thinking of adding one. You can use the protein skimmer to rid the surface water of the possible oily residue in conjunction with your canister filter without a problem. There is no clear answer to this question because everyone’s needs, setups, and requirements are different. Most hobbyists start with a hang on back filter because it is the most common and easy to use. It is also the most common filtration system that is sold with all-in-one kits. Once hobbyists move more in depth into the aquarist world, they quickly realize that there are many different filtration systems available to them. They may start to research and want to experiment with different types of filters. Canister filters are often recommended for the more experienced aquarium keeper because they are a little more complicated to set up and maintain. They are also more efficient at keeping the water clean and they are out of sight but may cost more then the hang on back filters. Hang on back power filters are easy to install and the maintenance is not as tedious as the canister filter. They are less expensive but do not perform as powerfully as the canister filters. As the name suggests, they hang on the exterior side of the tank and may create an eye sore. All this being said, we do feel that if you have a bigger budget you should purchase a canister filter that is more powerful then the hang on back filter. The peace of mind that comes with this type of filter is worth paying extra for. Canister filters are essential for the good health of your aquarium and the fish living within, and work by forcing the tank water through a range of media to filter out waste products. This process can be further aided through the use of UV lighting systems that are often built into the filter, though these are often a nice-to-have and not part of the default specification of most filters.